On a warm spring day in March of 2015, the vision of the “Grow to Give” Orchard came to fruition as ILM Tree students, Sienna Ranch families and community volunteers planted 100 fruit trees, mostly late varietal apples and pears on the eastern hillside under the leadership of the Urban Farmers non-profit. Visible on the right side of the driveway as you enter Sienna Ranch, Harvest Hill intends to provide for the property and community, as fruits will be gleaned and distributed locally to those in need in our local community each harvest season. How did this community partnership come to the ranch? In 2013, a group of the 8th graders from our on-site neighbors, a homeschooling cooperative known as ILM Tree (an acronym for “Inspired Learning for Muslims”), volunteered in the East Bay with The Urban Farmers, a non-profit gleaning-for-hunger-relief group which harvests fruit trees from local backyards and donates the fruit to local food relief agencies. Inspired by their experience, the middle school students asked Sienna Ranch for space to plant its own “Grow to Give” orchard, to be planted and maintained in partnership with the Urban Farmers. ILM Tree agreed to raise funds. The Urban Farmers took on managing the planting details, tree purchases, and volunteer coordination while Sienna Ranch provided the land and the water for the trees of Harvest Hill. By 2015 these efforts by Sienna Ranch, ILM Tree, and The Urban Farmers were finally bearing fruit. Dozens of volunteers from around the Bay Area helped ILM Tree, The Urban Farmers and Sienna Ranch prepare the orchard site. Exchange students, involving students from Guatemala and El Salvador as well as Acalanes High School, pulled out old fence posts and barbed wire fencing. The Seventh Day Adventist Young Teens group cleared weeds while their parents pounded new fence posts. A group of youth from San Ramon Valley Islamic Center dug out the holes for trees as adults hung deer-proof mesh fencing and bent wire gopher cages into shape. Today, Harvest Hill is thriving as a sign of community partnership and connection to the food system during a time when things seem chaotic in the world around us. We anticipate our first harvest in two years; meanwhile, this project is serving as a platform for community outreach. The Grow to Give Orchard is an example of the good works that are possible when people of all ages and backgrounds come together to benefit the local communities around them. 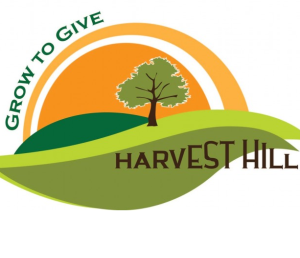 Join us to care for Harvest Hill! Please join the orchard community as we prepare the fruit trees for the remaining winter rains. We’ll assign seasonal projects to help protect our young orchard. In the past volunteers are needed to lay down protective layers of burlap sacks and mulch to the terraced apple and pear trees to prevent soil erosion and weeds. A bucket brigade to move mulch is most fun for ages 8+ and direct parent supervision is required for participants under the age of 18. 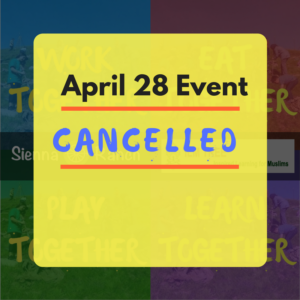 Sienna Ranch garden and animals will be closed during this event. Spring Orchard maintenance projects are TBD. Projects might include weeding, mulching, path work or other family-friendly maintenance. Sienna Ranch facilities other than the restrooms and orchard will be closed. Since Branches will be incorporating a learning element in its program, a basic presentation by the ILM Tree middle schoolers will highlight some aspect of Islam and Muslims. We have chosen to include this educational portion of the program due to the overwhelming requests we have received from so many families telling us, “We want to know more.” Since we deeply respect each family’s individual preferences and understand that some may not want to “know more”, we are putting the “learning” component of the gathering at the beginning of the event so that those who choose to bypass it may join us afterwards instead. Interested? Please come prepared to play outside. Pre-register by visiting the Branches page so that ILM Tree knows how many people to plan food for. This event is FREE. Want to know more? 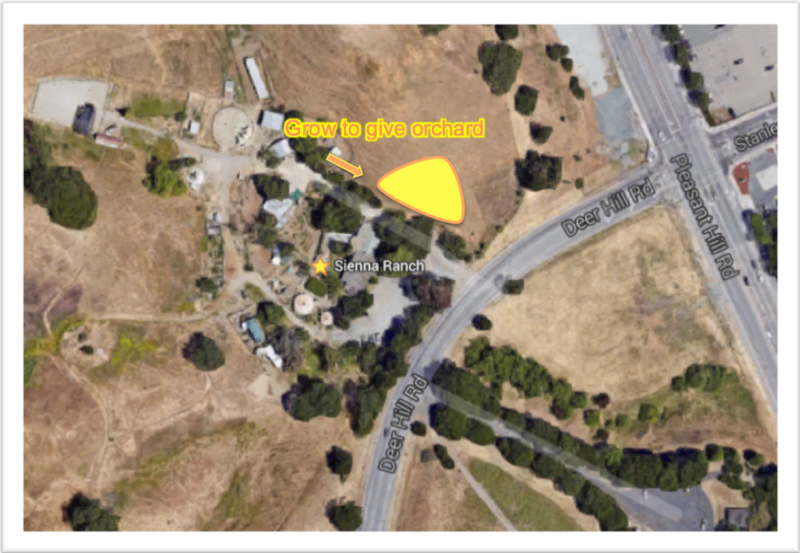 Feel free to contact the Sienna Ranch office if you’d like more information about the progress of Harvest Hill, our wonderful neighbors ILM Tree and upcoming opportunities to be part of the Urban Farmer’s work at the Grow-to-give orchard.